We will be pressing apples with an apple press from Ashfield Farm as well as an interesting DIY one from Anne. Really disappointed I missed this, I didnt see it pop up on the facebook but what a good idea! Me and my partner would really like to get involved with the group so hope to meet you all next time. Thanks for your message, just seen the new post about this coming Saturday’s juicing day 🙂 very much looking forward to it. Do we just simply turn up? Of course we will bring the things mentioned in the post but I just thought I better check as this is the first time we will be joining in one of transition stourbridge’s events. Yes, great…its fine to just turn up on Saturday 5th October at Hay Farm. I’ve let Margy (margy@henderson.me.uk) know you’ll be coming so, just in case of any changes or the event were to be cancelled, she’ll email you (though, this is very unlikely). Wow, great event! 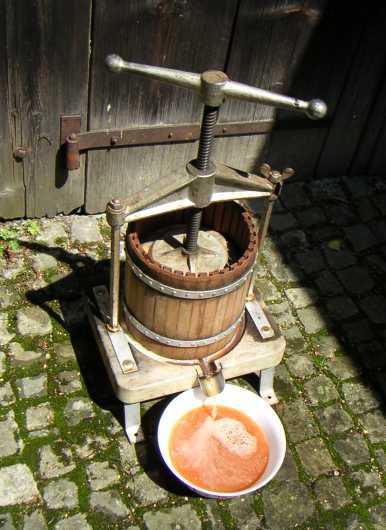 Ecpecially with such authentic apple press. Where can I see pictures from this event? I also disappointed I missed it. I hope the juice was very tasty. Will wait for the next chance.